Altuve won't return until next Friday at the earliest, twitter tells me. Guess that sounds about right for a best case scenario if there's a rehab stint in there. Did twitter mention a minor league rehab assignment? Add Jake to the non-walking wounded. Marisnick to DL. Tucker up. It's the curse of Beltran's zombie glove. Who's the next outfielder in line? Straw? I think it would have to be.....or a waiver trade for someone. Hopefully this is all we will have to endure on the injury front. Just a gut feeling, that this time up, Tucker is going to get starTED on very solid major league career. But I still love what Kemp is doing. 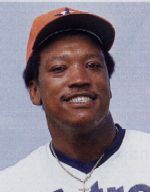 Remember Jesus Alou being called out of the 1st base coaching box to pinch-hit a double vs. the Reds in '79 I think, to win a crucial game, and he patted Morgan on top of the head (ala Benny Hill w/the little bald guy) and Little Joe got pissed.....yeah,that was great. No team could survive the injuries to the major stars we have had. Wee need to be patient and hope we hang on. If it comes down to a one month race for the division, and we're healthy, I like our chances. They are now missing 3 core regulars, a starter, a key reliever and a valuable sub. Another core regular is playing his way back after missing 40 games. The last road trip showed a ton of grit and resilience, but it was an anomaly. It is going to continue to be tough sledding for a while. #Astros manager AJ Hinch said OF Jake Marisnick (groin) is expected to be out for multiple weeks, at least until late August or into September. Not sure what to read into this, but JD Davis is the regular in RF at Fresno recently. That has to do with the fact that Alvarez and Straw are the only healthy outfielders on the Grizz roster. Indians’ Trevor Bauer to the DL. It could be a while. Stress fracture in fibula I think is what they said on radio. AJ Hinch says Chris Devenski will pitch tonight for Triple-A Fresno, Brian McCann will began rehab stint with the Grizzlies Thursday. George Springer took BP, ran the bases and threw to the bases today at Minute Maid Park. All signs point to his activation Friday, the first day he's eligible to return. Jose Altuve progressed to running yesterday on a treadmill. A.J. Hinch said Altuve might try to hit in the cage today or tomorrow, as well. .2 IP, 2H, 1K, 0R.